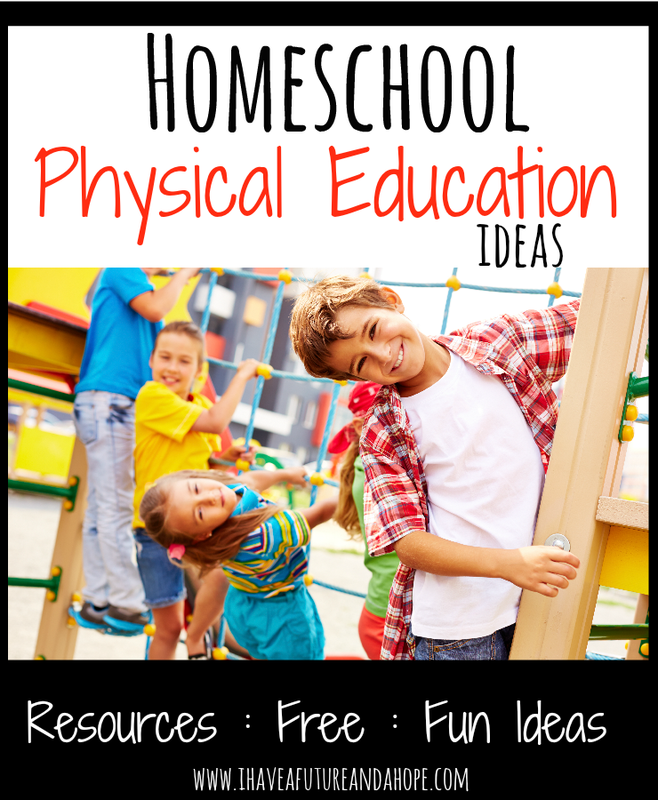 Physical education is an important part of homeschooling that is often forgotten about. P.E. class often stirs up memories of ropes hung from the ceiling, kickball, dodge-ball, square dancing, parachutes, and more. How do you teach P.E. when you homeschool? Teaching P.E. can be really easy and a ton of fun, plus it doesn’t have to be a budget buster either. The list below will give you some fun ideas for P.E. in your homeschool. Visit your local park or nature reserve and go for a short walk or a long hike. Play basketball at your local park. Go for a bike ride in a park or bike tour around your town. Take a soccer ball to the park and kick the ball around. You may find enough people for a game. The possibilities are endless, so brainstorm with your children, come up with ideas that everyone would like to do and try to do those activities a few times a week. Get outside as a family together. While your outside see what other subjects you are able to incorporate during P.E. time. Most large local churches will have some form of organized sports. Join a volleyball league together. Contact your local parks and see if they offer sports programs. Call your local school districts, some public schools will allow homeschoolers to join in their sport programs. Co-op- our co-op offers P.E. as a weekly class. Local children’s gyms that offer free time to climb, or offer dance classes and more. Some of these have special homeschool days and discounts. We are members of our local YMCA and we are there 3 times a week. My children exercise, play basketball, swim, and play in an indoor playground. I exercise while they are playing and having fun. I shower and have some “me”, which to me is worth every penny of our family membership. We forgo cable television and pay for a YMCA membership instead. We haven’t missed the television one bit. The YMCA is indoor and is great for bad weather days. No matter which way you choose to incorporate P.E. into your homeschool days, make sure you stay active and healthy. Your kiddos need to move and so do you! How do you incorporate P.E. into your homeschool schedule? If you enjoyed reading this post you won’t want to miss the next post in this series 31 Days of Homeschool Supplies sign up for my newsletter below. Each new post will be delivered to your inbox so you wont miss a post. You can also find more 31 Days of Homeschool Tips for Moms here. Every topic you can imagine for homeschooling is covered. « Homeschool Co-op: Choosing one that is best for your family!